Coffee, Bacon, Flapjacks! : Phantasy Star Online 2 Open Beta = Hurray! 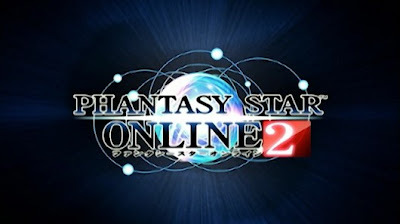 Phantasy Star Online 2 Open Beta = Hurray! So, the open beta is finally here. Granted it's all in Japanese, so a lot of people in the West may not be able to play and know what any of the menus say, let alone what most of the chat...erm...chatter says, but an English patch should be incoming soon enough. There were patches like this for all of the other builds, so it shouldn't be too big of a deal to get a new one up and running I'd imagine. So far I've set up my account and downloaded the client. Now I just have to get the 3GB patch installed and I'm good to go. Granted, I've been inundated with update failures since the patching server has been getting hammered since the beta went live (and the account registration was another 500 internal server error in and of itself! ), but hopefully it won't be too much longer before I can actually sink my teeth into this game. The only other obstacle I see at this point is if Ship 02 is still locked off from making new characters, as that's become the de facto place to go for non-Japanese. Hopefully it will unlock again soon, or I may just have to make do on one of the other servers. I don't see such a situation being the end of the world at this point. In any case, I can hardly wait to get playing PSO2. I adored the original on the Dreamcast, and this game seems to recapture a lot of that while adding a lot of what was good about the Universe games, with a bit extra tossed in that's completely new. Better still is how the game is a lot more action oriented with a nifty combo system, which is something that I'm eager to try out, as I've been getting pretty bored of the old WoW combat system that is so prevalent in MMORPGs nowadays. I still haven't decided what class I want to start off as, though. I used to play a hunter way back in the original PSO, but since then my habits in MMOs has leaned heavily toward healers, so that may make playing a force the way to go. I guess I'll try fiddling around with them once I finish patching, and can actually log into the game properly. Until then I can only wait and hope the manages to finish updating soon.